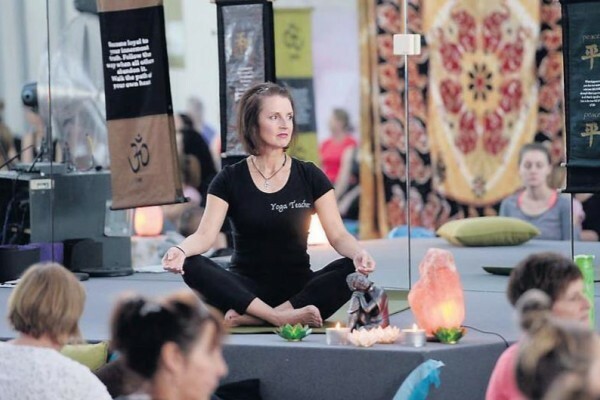 Day to keep calm and yoga - Aquamoves – Indoor and outdoor pools, fitness facilities and programs in Shepparton, Victoria. It was published in June 2016, so the information may be out-of-date. 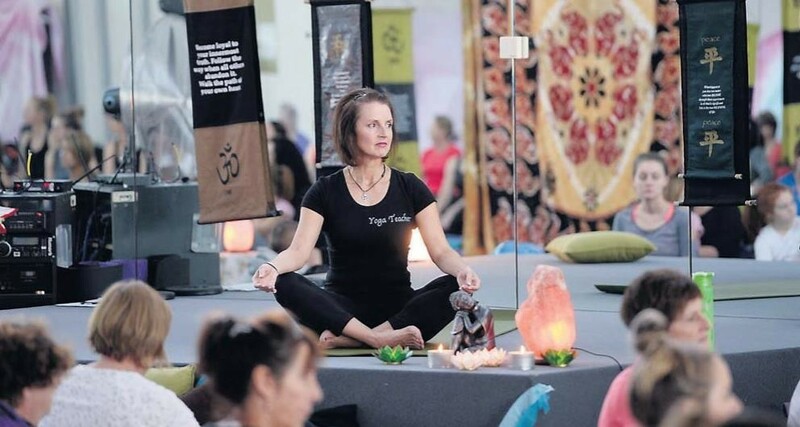 Aquamoves fitness studios were packed yesterday as yoga enthusiasts waited patiently for International Day of Yoga to begin. 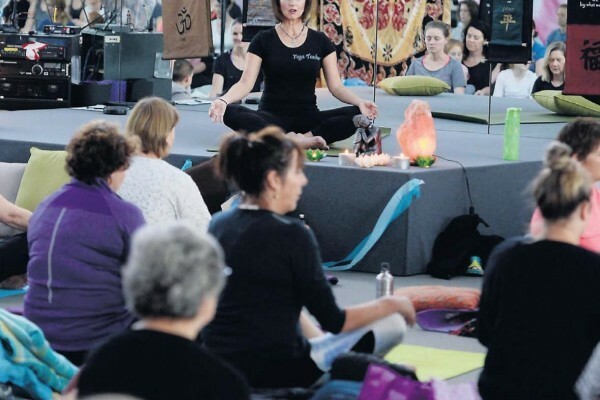 More than 200 people attended the first session, which provided a free opportunity for beginners and experts to give yoga a try, with 20-minute sessions throughout the day. 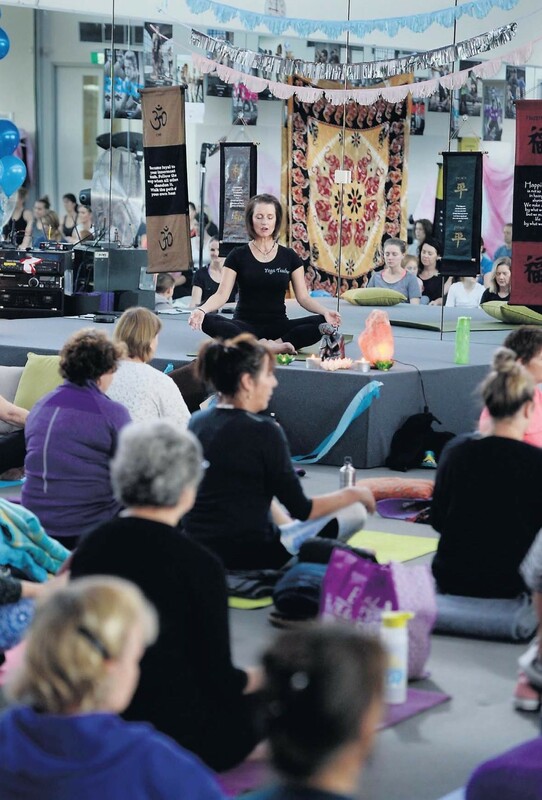 ‘‘Yoga teachers across the Goulburn Valley came together to host the event and we are planning to meet monthly to organise more exciting events,’’ GV Yoga teacher Jacqui Sweeney said. Yoga prizes were given away during the day including class passes, massage vouchers, ISHKA hand crafts and other earthy treats. ‘‘Last year the United Nations introduced the day after the prime minster of India proposed it as day for togetherness, forgiving, loving and kindness,’’ Ms Sweeney said. Although the event was free, participants were encouraged to donate to the ‘‘Road to Roth’’ fundraising campaign by two athletes, Matt Cox and Con Giantrakos, who are training for the world’s largest triathlon in Germany next month. Mr Cox and Mr Giantrakos hope to raise $20 000 for GV Health’s children’s ward to buy two new respiratory machines for children with cancer and the Salvation Army’s Brayton Youth Homeless Program. Article courtesy of The Shepparton News 20 June 2016. Written by Hayden Thomson. Pictures by Ray Sizer.